Mcphail's Auto Sales has a wide selection of exceptional pre-owned vehicles to choose from, including this 2008 Lexus ES 350. When you purchase a vehicle with the CARFAX Buyback Guarantee, you're getting what you paid for. With its full CARFAX one-owner history report, you'll know exactly what you are getting with this well-kept Lexus ES 350. With less than 83,752 miles on this Lexus ES 350, you'll appreciate the practically showroom newness of this vehicle. Feel at ease with your purchase of this Lexus ES 350 , all records are included allowing you to truly know what you're buying. This Lexus ES 350 is in great condition both inside and out. No abnormal "wear and tear". Most vehicles are forgettable, but then there is the 2008 Lexus ES 350 . This high-performance vehicle provides a memorable experience each time you drive it. The engineers at Lexus, without question, designed a masterful automobile that provides all of the "essential perks" needed for someone like you. Treat yourself to a Lexus ES 350 that's got it all. Nearly every option is packed into this beautiful ride. Intricately stitched leather and ergonomic design seats are among the details in which test drivers say that Lexus ES 350 is in a league of its own This Lexus ES 350 is equipped with navigation, so you no longer have to wonder if you're headed in the right direction. More information about the 2008 Lexus ES 350: With more than 100 onboard sensors to monitor the slightest change in the vehicle's path, the 2008 Lexus ES 350 is as intuitive as it is comfortable to drive. It also offers more interior room and safety features, and boasts a lower price tag, than most other vehicles in its class. Unlike its GS and IS stablemates that have a distinct performance focus, the front-wheel-drive ES emphasizes top luxury and technology. The car shares its platform and some of its components with the best-selling Toyota Camry but has enough styling differences and upgraded equipment to earn it a spot in the luxury class. This model sets itself apart with Quiet, comfortable interior, luxury and technology features, and acceleration and fuel economy. 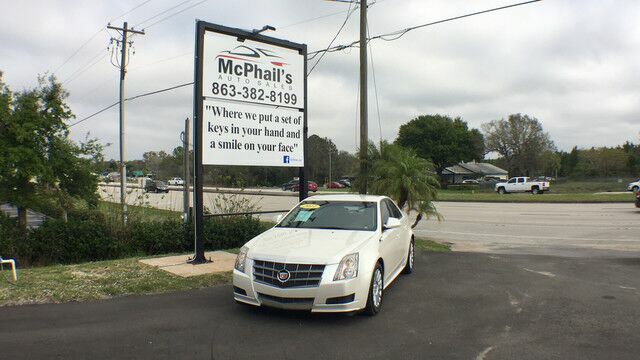 Thank you for visiting another one of Mcphail's Auto Sales's online listings! Please continue for more information on this 2018 Ford Focus SE with 26,295mi. This Ford includes: TIRES: 17" Tires - Front Performance Tires - Rear Performance SHIP-THRU: KNAPHEIDE STANDARD PAINT CHARCOAL BLACK, CLOTH FRONT BUCKET SEATS Cloth Seats Bucket Seats ENGINE: 2.0L 4 Cylinder Engine Flex Fuel Capability TRANSMISSION: 6-SPEED AUTOMATIC Transmission w/Dual Shift Mode A/T 6-Speed A/T INTERIOR PROTECTION PACKAGE Floor Mats EQUIPMENT GROUP 200A OXFORD WHITE *Note - For third party subscriptions or services, please contact the dealer for more information. * When you purchase a vehicle with the CARFAX Buyback Guarantee, you're getting what you paid for. You could spend more on fuel each month than on your vehicle payments, so why not consider one with exceptional fuel economy like this 2018 Ford Focus. This vehicle comes with an extra bonus: past service records are included. Adjectives like impeccable, spotless, and immaculate can be used to describe how clean this Ford Focus SE is, causing it to feel more like a new vehicle than a pre-owned one. The entertainment package featured in this vehicle will easily provide an memorable experience every time you ride in the Ford Focus SE. You may ask yourself how you ever lived without an entertainment package. When all factors are equal, choose a vehicle equipped with a factory warranty like this gently driven gem. Speed is a game changer and this awesome machine is so fast it didn't just change the game, it rewrote all of the rules. Why go with a basic vehicle when you can have it all in this well-optioned Ford Focus? This vehicle comes with a navigation system. That doesn't mean you won't get lost. But it does mean you won't stay lost. The paint and body on this Ford Focus SE looks as fresh as the day it rolled off the assembly line. This 2005 Ford F-150 XLT is proudly offered by Mcphail's Auto Sales This vehicle is loaded with great features, plus it comes with the CARFAX BuyBack Guarantee. With all records included, drive away confidently knowing the complete history of this Ford F-150 XLT. Looking for a Ford F-150 that is in great condition inside and out? Take a look at this beauty. This vehicle's tires have been thoroughly inspected and are classified as "like new." This vehicle's exterior has been babied. The paint is in excellent condition with nearly zero flaws or signs of age. This extraordinary find is a once-in-a-lifetime opportunity for someone who understands automotive magic. High-end wheels help round out the many options of this Ford F-150 XLT. This 2014 Chevrolet Cruze 1LT is proudly offered by Mcphail's Auto Sales This 2014 Chevrolet Cruze comes with a CARFAX Buyback Guarantee, which means you can buy with certainty. Outstanding fuel economy and sleek styling are two great reasons to consider this Chevrolet Cruze. It's not often you find just the vehicle you are looking for AND with low mileage. This is your chance to take home a gently used and barely driven Chevrolet Cruze. The interior of this Chevrolet Cruze 1LT has been through meticulous inspection and could almost pass for a brand new vehicle. If you're looking for world-class speed, acceleration, cornering and handling, don't blink because you'll miss this truly amazing automobile. The Chevrolet CRUZE looks compact on the outside but is full of features on the inside that make it a driving favorite. Outfitted with a modern 4-cylinder turbocharged ECOTEC engine and six-speed manual or available automatic transmission, the Cruze drives smoothly and has both power and fuel efficiency. Choose the Cruze Turbo Diesel and take advantage of performance and efficiency that diesel provides. Safety features include Anti-Lock Brakes, a full ten airbags, electronic stability control, traction control, and the basic design features you see in larger vehicles. You can also take technology to the max with available Bluetooth, steering wheel audio control, and available OnStar. USB port and satellite radio cabability comes standard, and some trims include the touch-screen Chevrolet MyLink entertainment system onboard. Visit us for more information about all the features packed into this fuel efficient and fun to drive package! Contact Mcphail's Auto Sales today for information on dozens of vehicles like this 2012 Honda CR-V LX. This Honda includes: URBAN TITANIUM METALLIC FRONT SKID PLATE GARNISH (DIO) STANDARD PAINT GRAY, SEAT TRIM TRAILER HITCH (DIO) Tow Hitch *Note - For third party subscriptions or services, please contact the dealer for more information. * Drive home in your new pre-owned vehicle with the knowledge you're fully backed by the CARFAX Buyback Guarantee. This Honda CR-V LX has a tough exterior complemented by a well-designed interior that offers all the comforts you crave. Do you encounter heavy snow, rain or mud when driving? No problem. With this vehicle, you've got the power of 4WD to help you overcome the toughest terrain. Knowledge is power and with the complete records of this pre-owned vehicle, you'll have the power to make a wise purchase. This pre-owned Honda CR-V looks like new with a clean interior that's been well-kept. High performance is what this vehicle is all about. You will be reminded of that every time you drive it. They say beauty is on the inside and once you experience the unbelievable options in this Honda CR-V, you'll agree that this is one beautiful vehicle. Added comfort with contemporary style is the leather interior to heighten the quality and craftsmanship for the Honda CR-V The paint on this car has no serious defects, blemishes, scratches or scrapes. This rare vehicle is a prime example of automotive engineering perfected. More information about the 2012 Honda CR-V: Honda has a successful formula for their compact SUV and they see little reason to deviate too much. All CR-Vs come with a capable 4-cylinder engine, a cleverly designed interior and compact exterior dimensions. This is all wrapped up in attractively designed sheet metal and sold with available all-wheel drive at a competitive price. While some competitors have allowed their vehicles to balloon in size, features and price, Honda has steadfastly stuck to the winning formula that has made every generation of CR-V a success. Interesting features of this model are Practical and well-equipped with available all-wheel-drive.